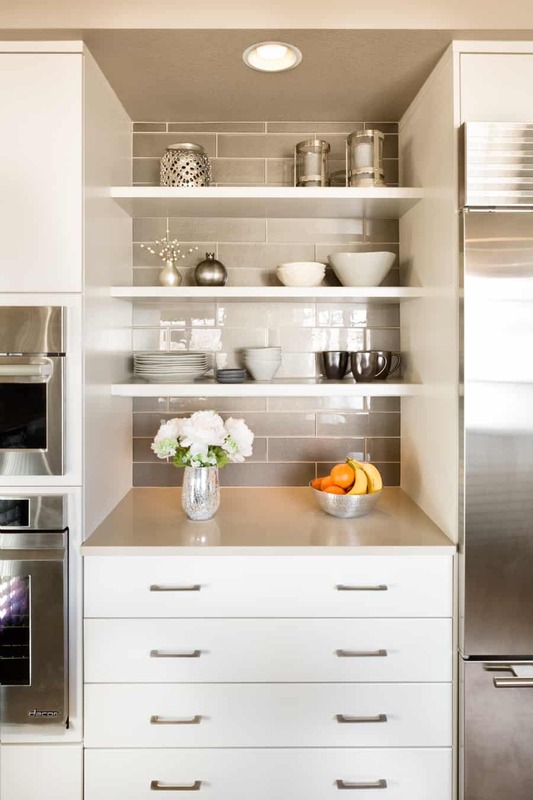 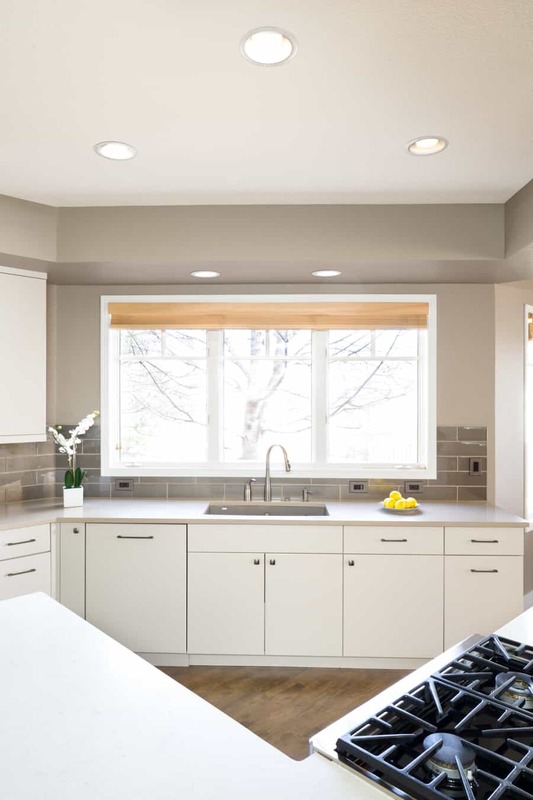 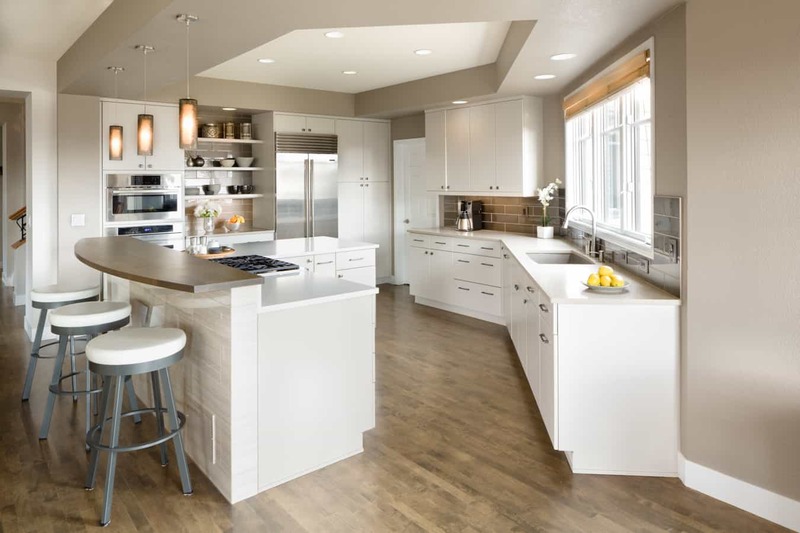 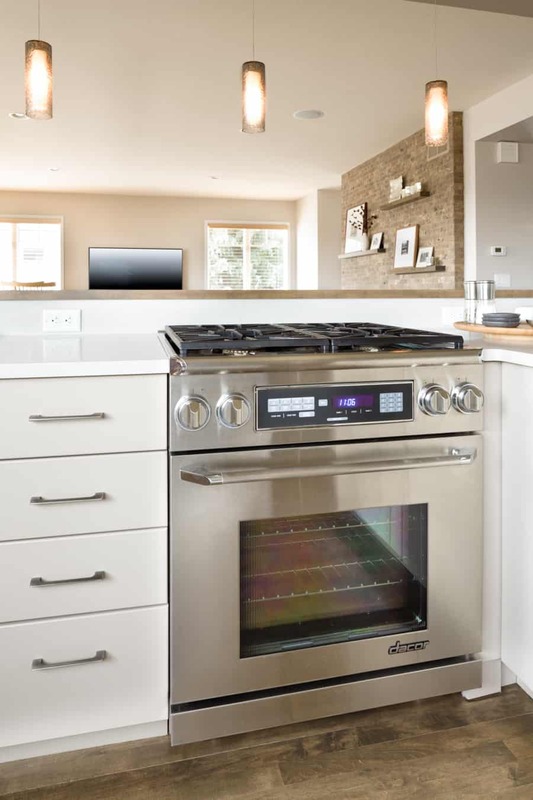 This custom kitchen was designed for a family that loves clean lines and non-cluttered spaces. 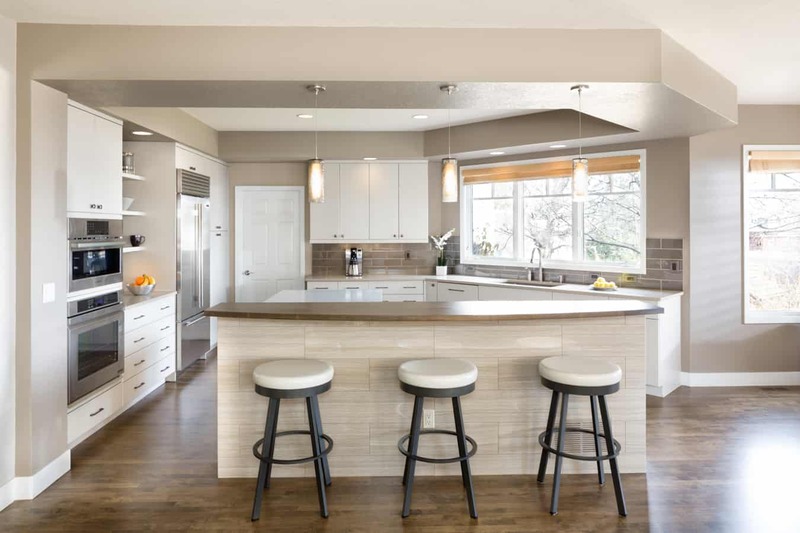 The spacious kitchen offers several workspaces including the island with seating and extensive counter space for ample room to spread out. 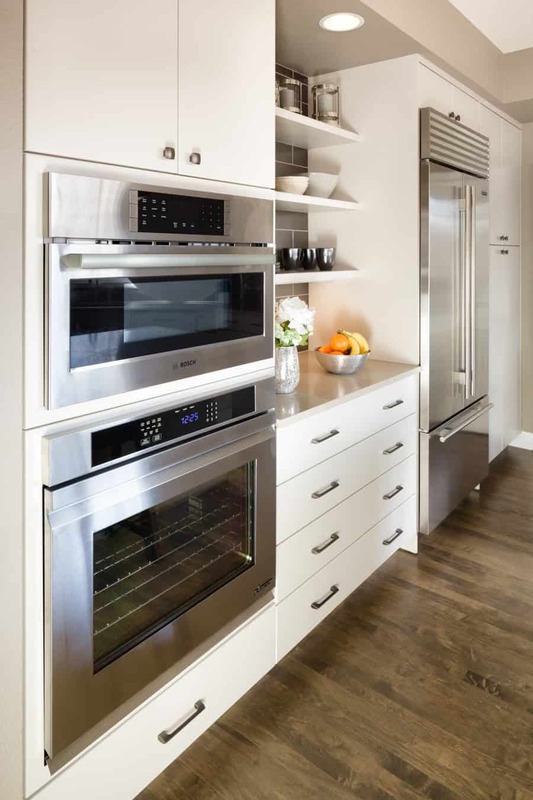 White perimeter cabinetry makes the space feel open and airy, while the muted gray and beige tones have a calming effect. 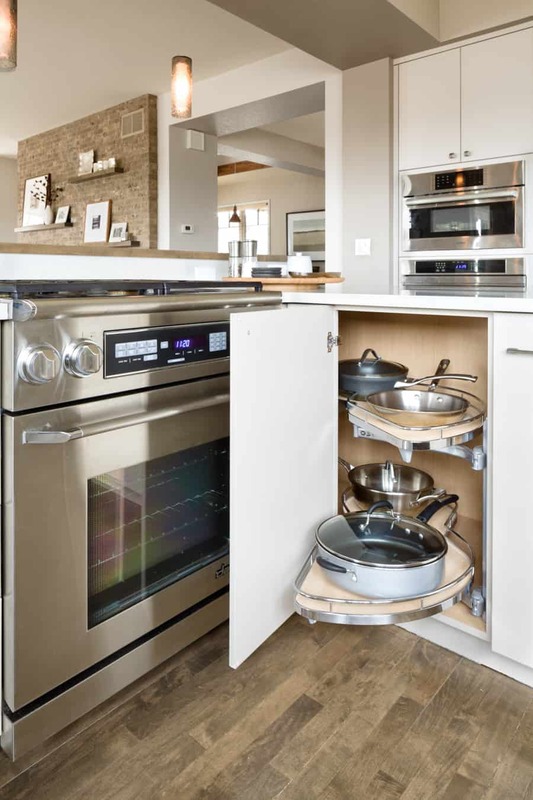 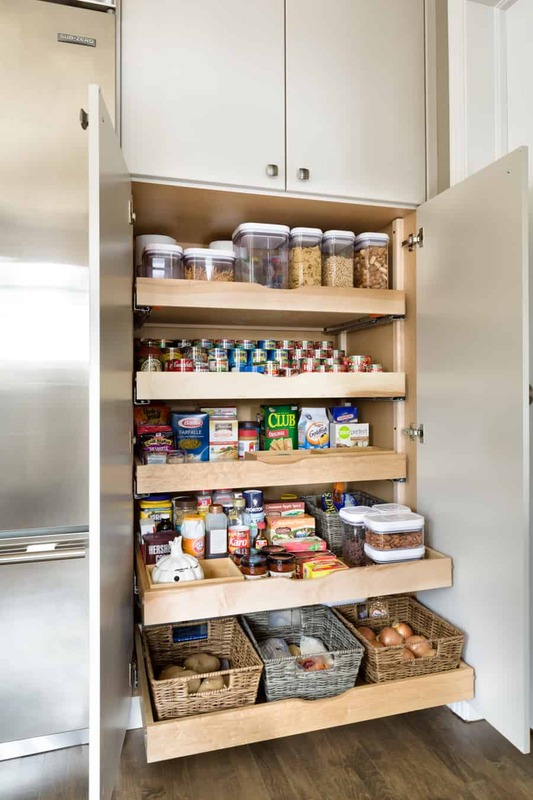 Unique storage organization and pantry shelving options help keep the everything in order and easily accessible.